So much is at stake when two of the competition’s greatest rivals meet for the second time this year. The winner will all but certainly qualify for the finals, while the loser faces a real fight to make it in September. The Hawks have found some form and are looking at four straight wins for the first time since late 2016, while the Cats have only lost twice in a row on one occasion this year, and they come into the game only an errant Gary Ablett shot for goal from knocking over Richmond. Two fine midfields go head to head this week and both clubs can score, so it might come down to the depth players from both sides. Who can make a name for themselves on such a big stage? 1. In round two the Hawks led by 18 points at three-quarter time before the Cats finished strongly, levelling the scores late; a Jarryd Roughead behind at the 30-minute mark gave the Hawks a thrilling win. 2. The Hawks are the highest-ranked team this season for disposal efficiency at 74.6 per cent while the Cats have struggled in 11th going at 72.2 per cent. 3. Hawthorn’s win earlier this season was its first over Geelong since late in 2015 ending the Cats run of four consecutive wins. Five games since 2013 have been decided by single figures. 4. Both teams play a strong uncontested possession style of game; the Hawks are third averaging 242.7 and the Cats are sixth with 234.6 per game. 5. The teams have played 29 times at the MCG with the Cats winning 19 games to 10; Hawthorn has won six of eight MCG games this season while Geelong has struggled with just two from six. 6. Last week’s Hawk hero James Worpel is the 562nd-listed player according to the Schick AFL Player Ratings. 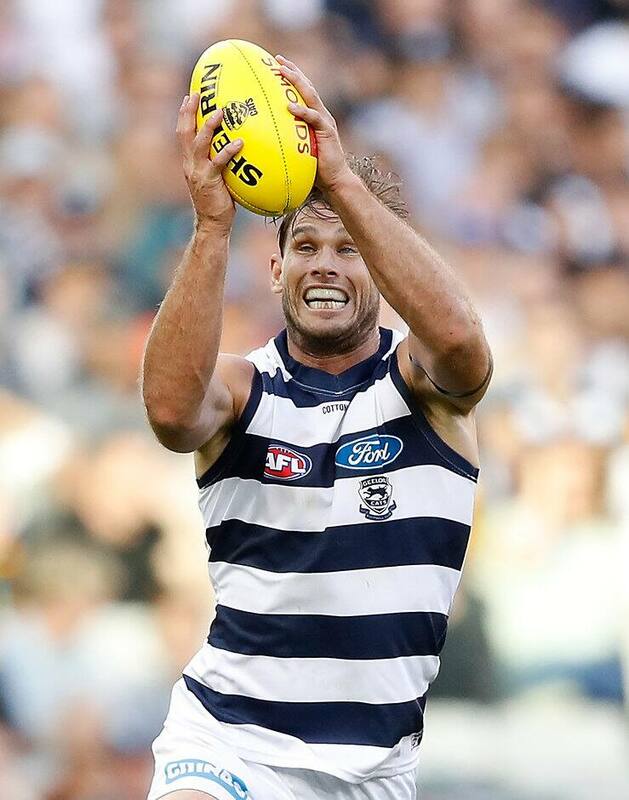 After consecutive bags of seven goals, Tom Hawkins managed just one against the Tigers last Friday. If he can get back amongst it on Saturday, it might be enough to get the Cats over the line.